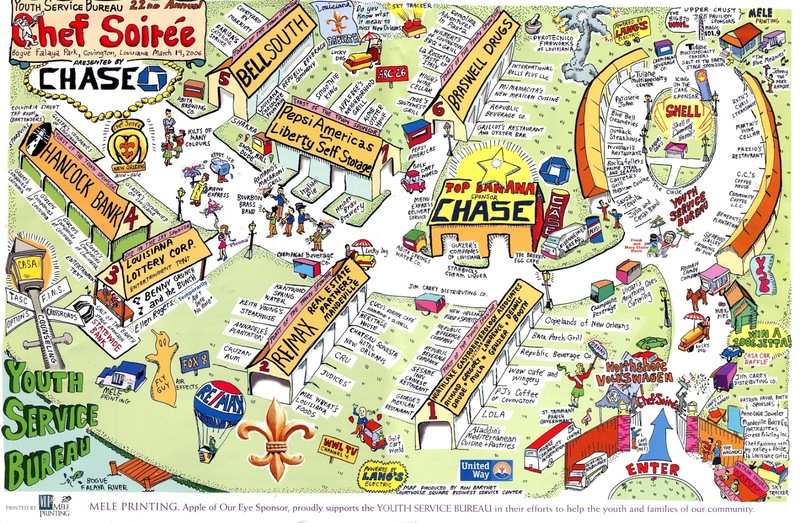 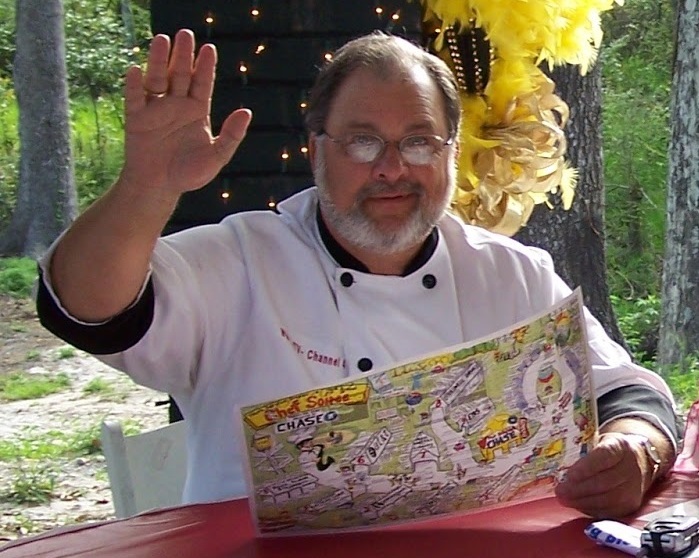 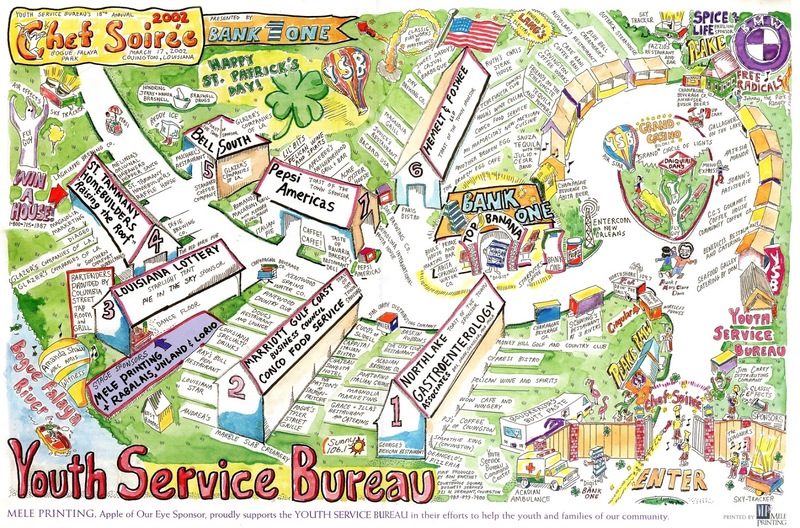 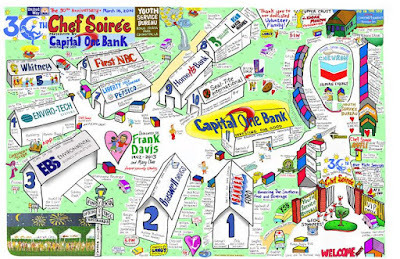 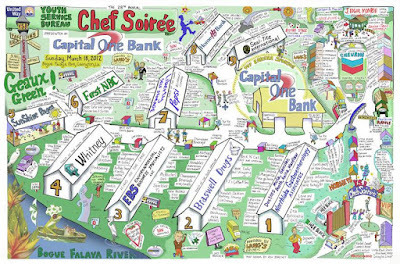 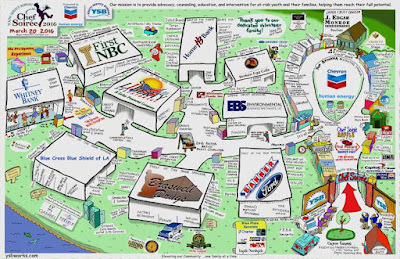 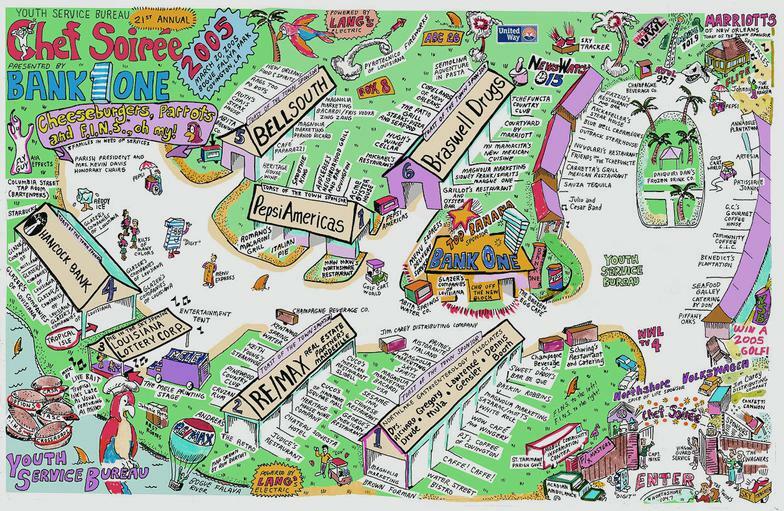 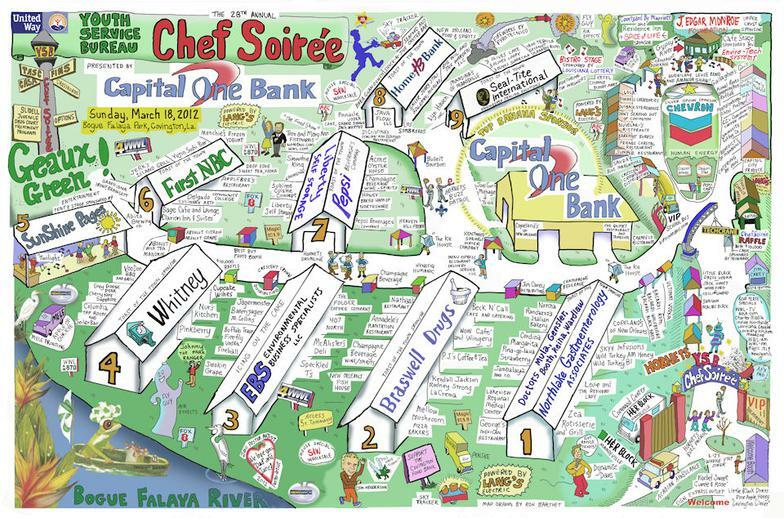 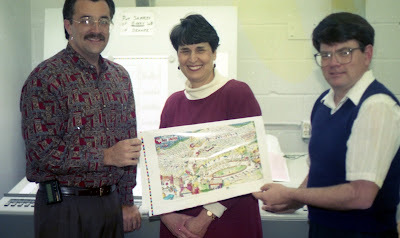 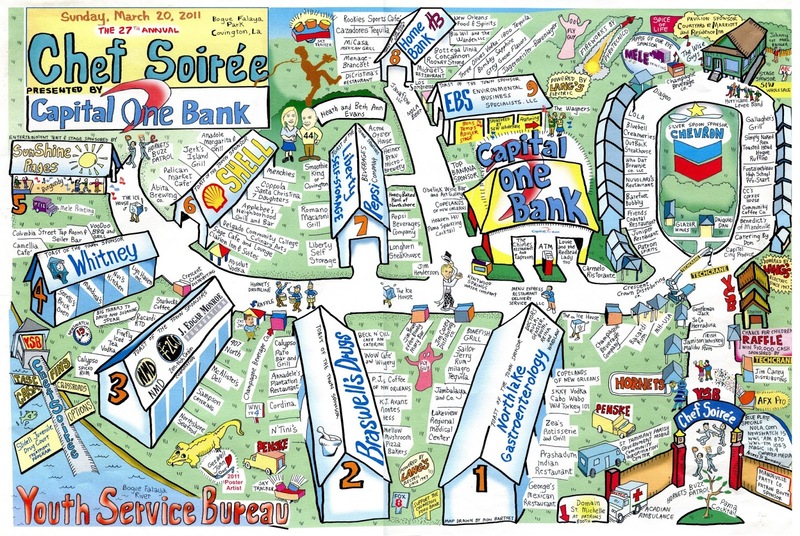 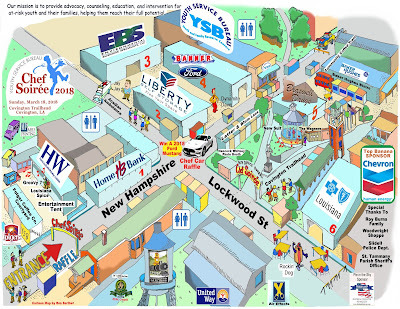 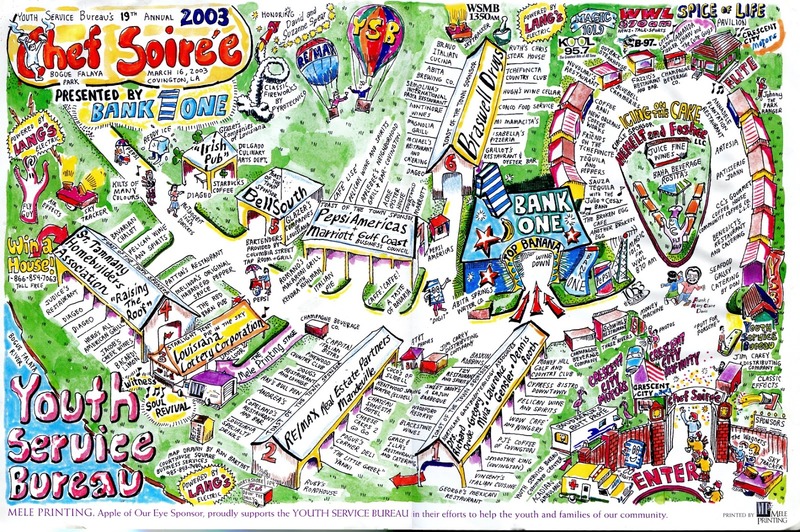 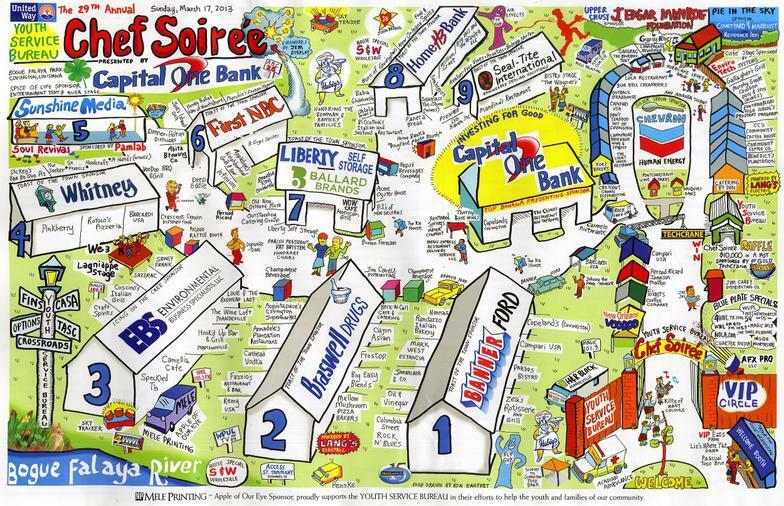 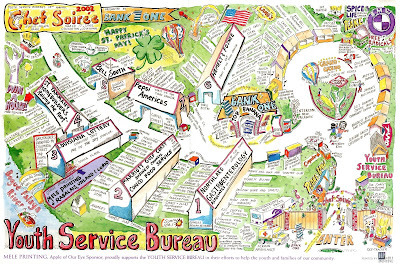 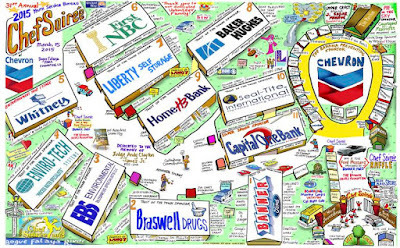 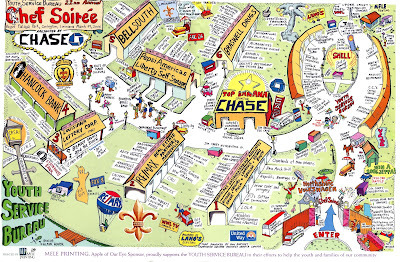 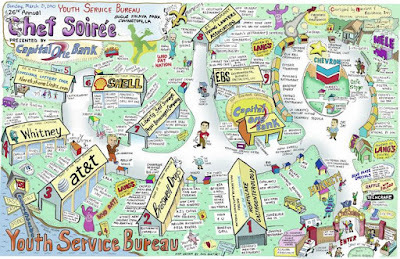 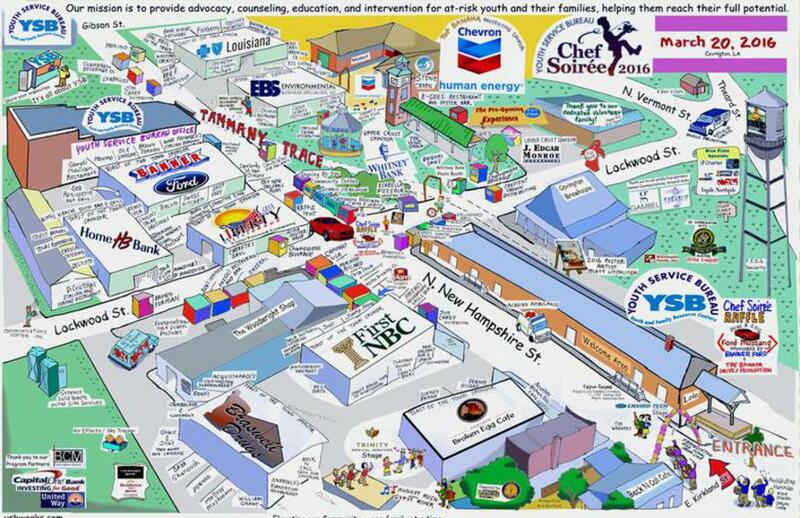 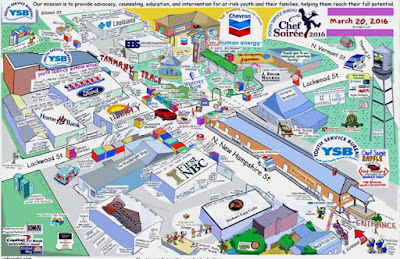 For 20 years I drew cartoon maps for the Youth Service Bureau's annual "Chef Soiree" fund raising event. 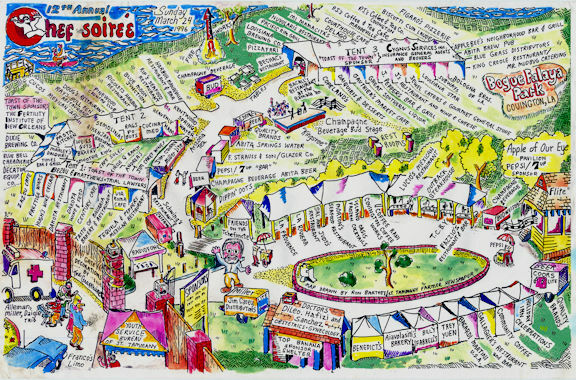 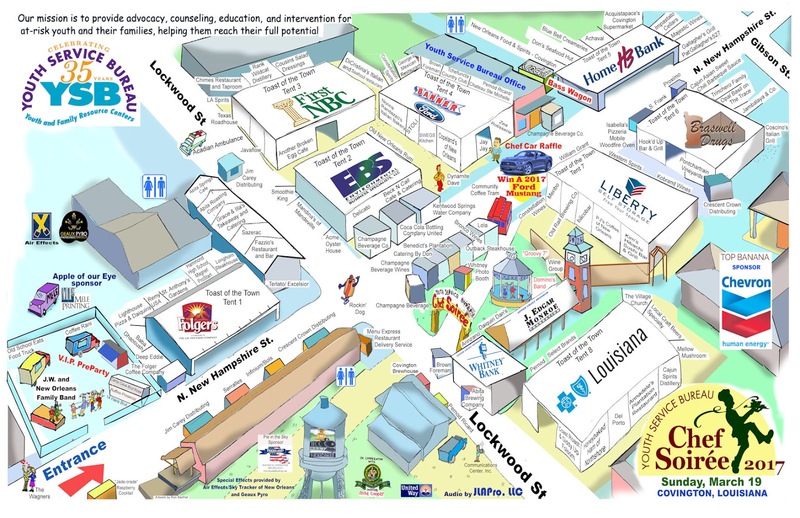 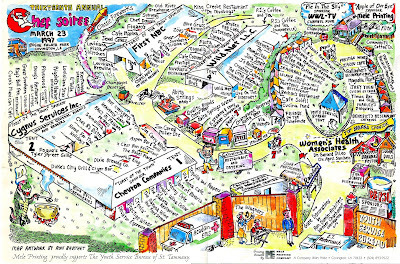 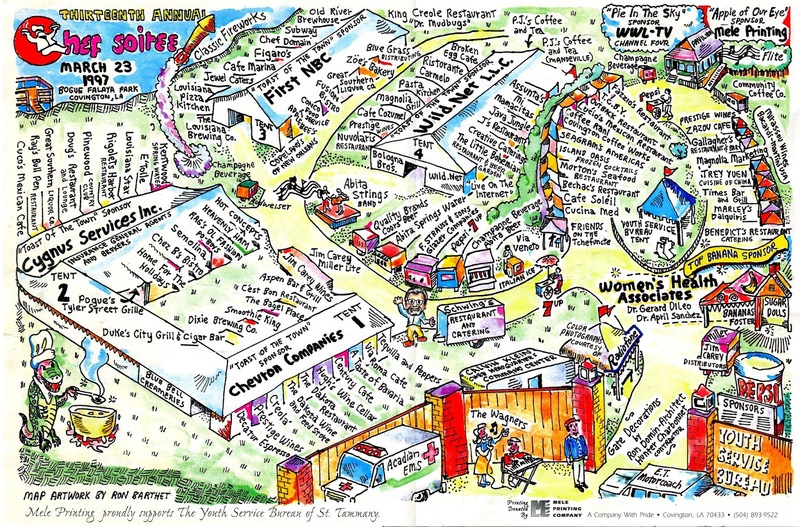 The maps showed the location of the various food, drink and music offerings at the popular event. 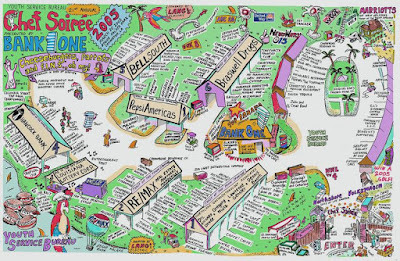 The last one was in 2018, and it was decided in 2019 that maps were no longer needed. 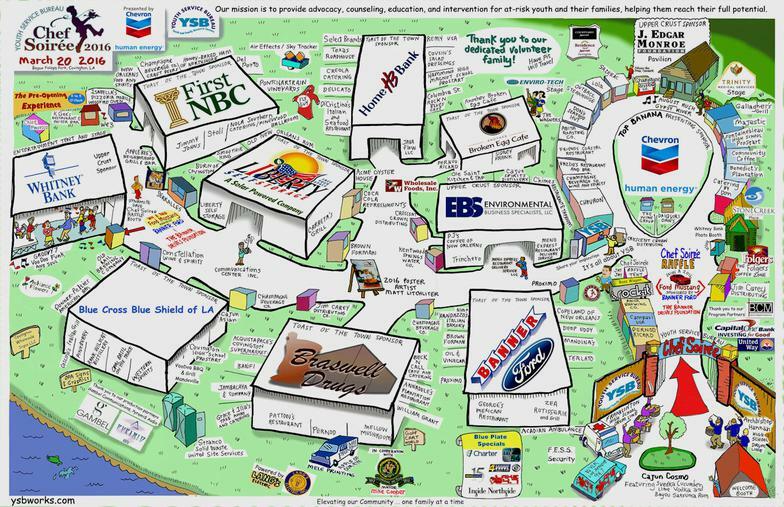 Click on the map images to see a larger version.